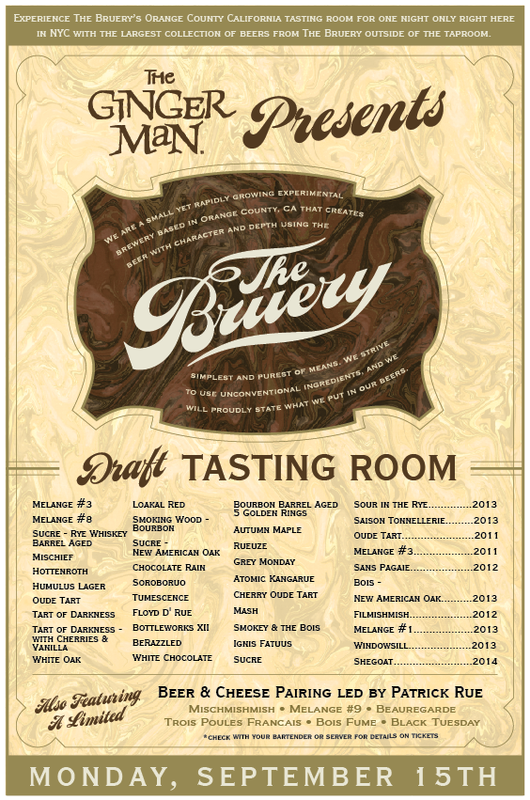 On Monday, September 15, 2014 I headed to The Ginger Man bar (11 East 36th Street New York, NY 10016) for a special event featuring 40 of The Bruery’s (Placentia, CA) most unique and sought after beers (click picture for the list). Essentially, bringing their 40 tap tasting room to NYC. Beyond the main list there was also a ticketed beer and cheese pairing led by The Bruery’s founder Patrick Rue featuring 4 cheeses paired with 4 additional rare Bruery beers. Though I did not take part in the pairing, I did get the chance to sit down with Patrick and film the above interview where I made sure to ask a variety of questions whose answers would convey some of what makes The Bruery one of the most creative and unique breweries in the craft beer industry…So grab a beer, sit back, and enjoy the video (I apologize in advance for the lighting). Cheers! Expansion at The Bruery – separation of “clean” and sour/wild beers to improve beer quality and consistency. How The Bruery is able to brew so many big beers (over 13%) that aren’t filled with fusel alcohol aromas and flavors. Learning from bumps along the way e.g. infected bottles such as Floyd d’Rue. How The Bruery got started and how it gets by without brewing an IPA while being a Southern California craft brewery. The process of how new beer ideas are formulated and tested. The Bruery’s mastery of brewing and aging sours. 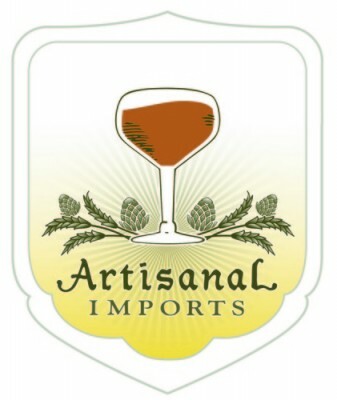 Including creating there own house culture of Brettanomyces, Lactobacillus, and Pediococcus. 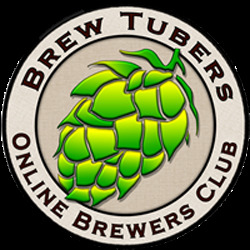 This entry was posted in Brewmaster Interviews, TBP Podcast and tagged Black Tuesday, brewing big beers, Chocolate Rain, FIlmishmish, Gray Monday, Oude Tart, Patrick Rue, Placentia CA, The Brewed Palate, the bruery, The Bruery Sucre, The Ginger Man NYC. Bookmark the permalink.